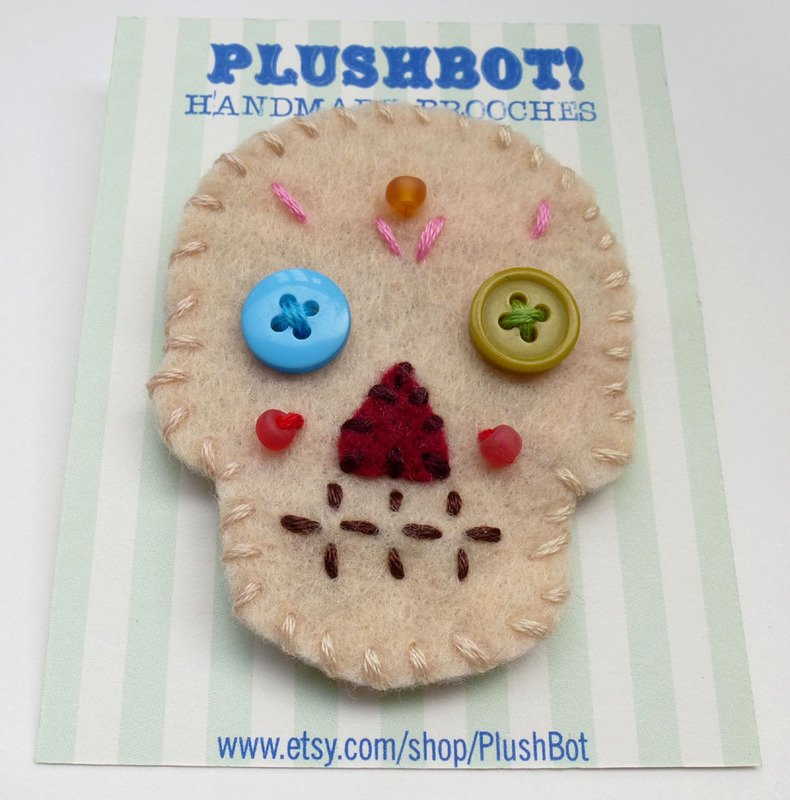 Here comes the perfect accessory for Dia de los Muertos, the Day of the Dead. 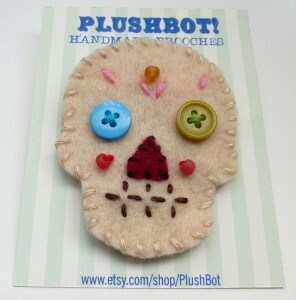 It’s a hand sewn sugar skull pin! This brooch measures 2 1/2 inches wide and 2 inches tall. It is all hand sewn from felt, beads, buttons and embroidery thread. A nickel plated steel bar pin attached to the back. Available on Etsy.